Are you a highly motivated person? If so, you already know there is some work involved when it comes to getting your life to this position of success. While working hard and being consistent will help you stay successful in business, there’s another aspect which goes hand in hand to construct a highly motivated lifestyle which compliments your work life. 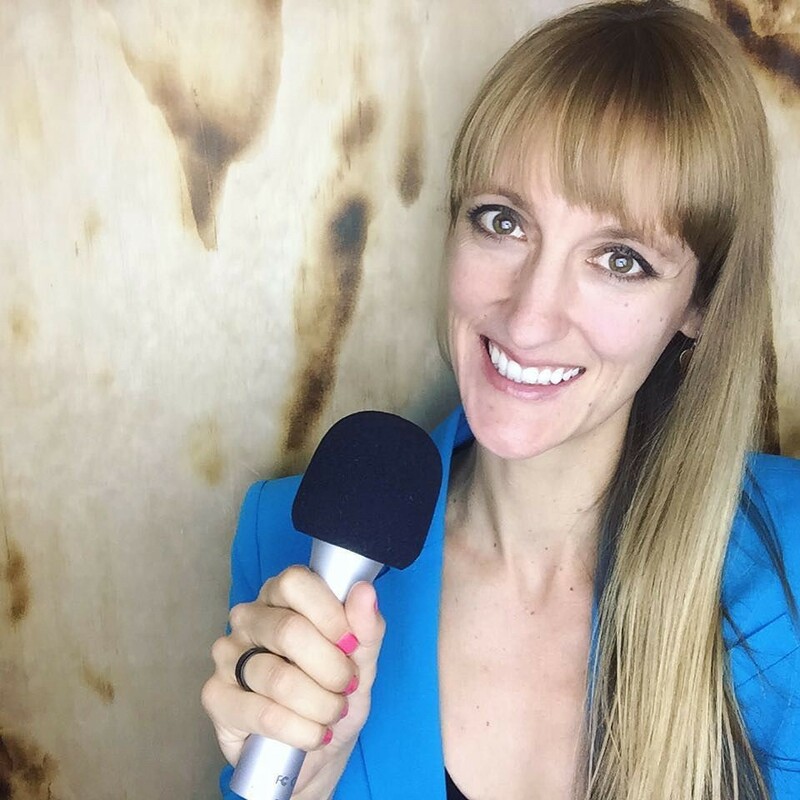 I met with Laura Petersen, entrepreneur, host of the podcast Copy That Pops, and author of a best-selling book on Copywriting for Podcasters, and she explained the differences needed to stay successful in work and business, all the while staying motivated and successful while keeping your eyes on the prize. Laura, an experienced high school math and psychology teacher turned entrepreneur, crafted out a mantra for herself when she decided to step out on her own in 2011. Through lessons learned teaching students and consulting with clients around copywriting and podcasting, she realized some keys to “having it all” in life and work. Here are three things that drove her to success. They will help you too if you let it! Laura Petersen made it very clear if you want to lead a highly motivated life, how important it is to pick a path for yourself. Whether you are striving for greatness in business or your life in general you need to pick your path and stick to it. This is important to understand because sometimes it’s easy to divert yourself down a rabbit trail and chase things which aren’t important. Even though they seemed important at the time. When you pick a goal or a path, you have given your life direction. It’s a road map. Now you have a directive for where you need to be. Pick one main priority and accomplish it. If you don’t you will always feel like you’re accomplishing 70% of lots of things, but nothing completely. Achieving a goal during your day mentally helps your brain to want to begin something else. As long as you’re completing daily goals you will continue to keep your motivation. Laura likes to get up early, brew a cup of coffee or tea, and then start working on her top priority for the day before checking email or social media. That way, she is able to make progress on what’s important before letting distractions in. You have to put yourself first or you will feel time slip away without much to show for your efforts. If you’re an entrepreneur you already understand if you’re going to get anywhere in this business you need to work, and work hard. That’s okay, you’re up for the task, but there is one thing which can stand in your way, and you may not know what it is. This one thing is the art of suffocation. If you’re a successful entrepreneur you’re probably working 12–16 hours a day and loving it. However, your home life suffers. Your family longs to be with you, have time with you, or simply hang out. On the other hand, you may have a great family life, but suffer in the entrepreneur side of things. It’s because you haven’t figured out the correct work/life balance to maintain motivation in both areas of your life. As you know, you’ve gotta work and you’ve gotta have a good feng shui when it comes to your home life. But how does one maintain the perfect formula to juggle both? Find a common denominator which allows you to maintain this balance in both areas of your life. You love the work of entrepreneurship, so take this same love and direct this energy in something you can share within your family or friends circle. It’s a great way to keep your focus and still be in the sweet spot for both areas in your life. For Laura, she and her husband love traveling, trying new healthy restaurants, and taking scenic walks with their dog Tuck. So she makes sure to plan times into her calendar to do fun things and have down time and pull herself away from her laptop. Anyone who has been successful in the home or at the job will tell you this very thing. The schedule is important. We all have a ritual. You may get up at 6 a.m. every morning and stumble to the coffee pot, drink a gallon of coffee, while cooking eggs/eating breakfast. You then fall into the same old routine and habit. Whether you understand this or not, you DO have a schedule. A ritual of sorts in which your body has grown accustomed to. In the art of successful business and life you need to make sure your schedule is pushing out positive vibes so you will be able to get the most out of your day. Do a schedule audit. Take out a pen and paper and write down everything you do, from the time you wake up, until the time you go to bed. Now, is there anything there which could be deleted from your day? This is time management and it will help you to implement a positive motivation to get things done in your work/home life this year. The only way you’re going to get anything done is when you’re not wasting your time on something you should have stopped thirty minutes ago. Do you have a motivated life? Are you having trouble managing things around your home or in your work? Do you sometimes find yourself shrugging something off you should’ve done last week? Apply these tips from Laura Petersen to open up more opportunities within yourself and your life and build a successful and motivational reputation wherever you go. Comment below with your best tips for a highly motivated life!